Hey y'all, happy first day of June! I know it's not the first "official" day of summer but I feel like the first day of June is the beginning of summer, so happy Summer! Haha!! 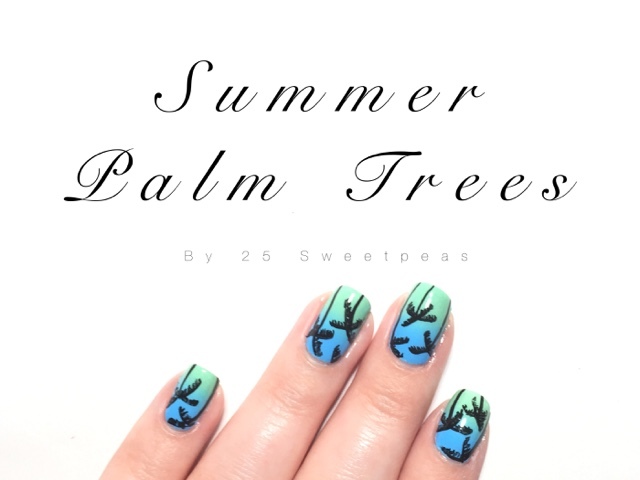 ;) Today on my nails I have one of my favorite type of summer nails, a gradation and my favorite trees ever, Palm Trees! ❤️ Plus guess what? 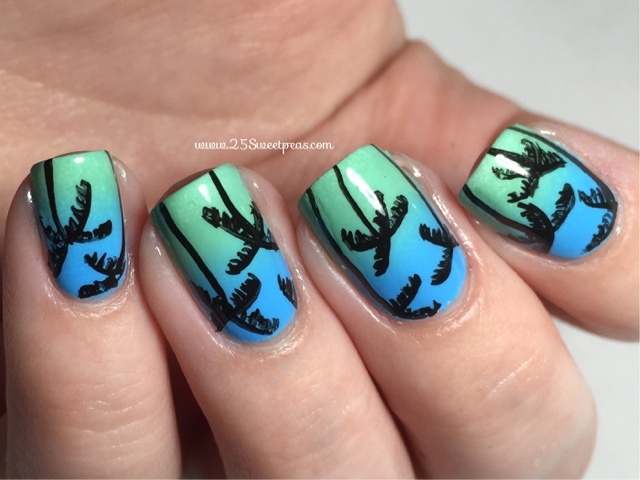 I have a nail art tutorial to go with up on YouTube this morning, oh and the IG version that will go up tonight has one of my all time favorite songs in it so I'm just living everything that goes with this post, so let's get into the rest of it! First I started with a white base and then I did my gradation, which for it I used 2 Serendipity Polishes. The blue being Vitamin Sea, and the mint being Mint Martini. 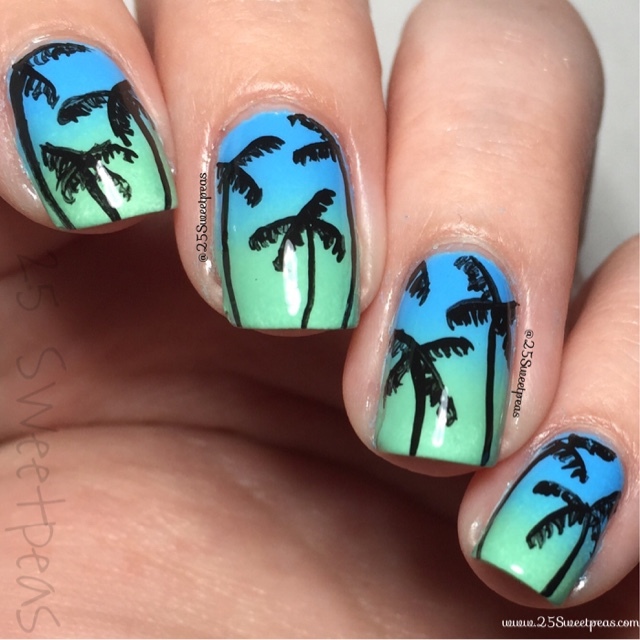 They are PERFECT for a gradation, plus they are just perfect for summer in general. The names are so fun too! 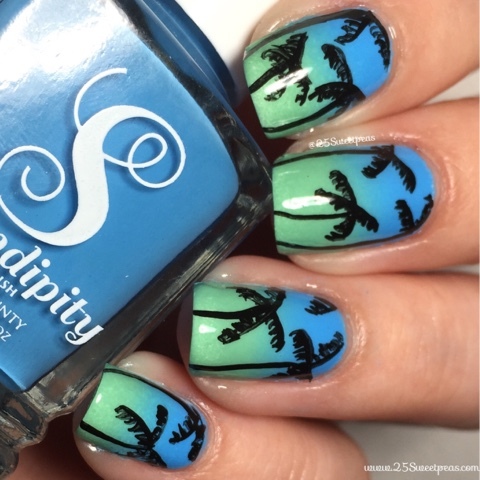 Also if you are wanting any Serendipity Polishes I would suggest doing so now! They are all on sale for $6 each which is a super good deal! Also I hear the shipping isn't bad, plus I know their customer service is wonderful. :) Now how about the tutorial. So as y'all saw there it is a super easy look to do, and it's probably been one of the quickest ones I've done lately. Also just want to say I am sorry for my rambling in my video! Haha, I guess you could say I talk too much! ;) Blah Blah!! To anyone who understood that Coin Song reference *insert high 5 emoji here*.